Jesus Christ is the Lord - the song of SeherPsalms: literally setting: Isa 53:3-5, Act 10:36, Phil 2:9, Heb 1:3, Jo 1:3, Mt 3:17, Phil 2:7, Phil 2:8, 1 Cor 15:4, Heb 10:12, Phil 2:10 Ref) Jesus Christ is the Lord! 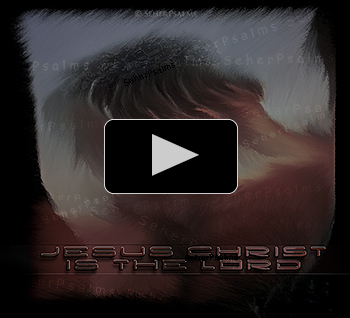 Jesus Christ is the Lord! The father has highly exalted the son, has given him the name above all! 1) Radiant son of God, in majesty. Were at the father’s heart, eternaly. Word, that created this universe. Only beloved son. Became human as we, in humbleness. Did leave behind all your delightfulness. Love was it that made you come hither into the hate of our world. 2) He was despised and contravening. A man of sorrows, full of suffering. He was like one from whom we hide our faces. We esteemed him not. But it was our own diseases. He was bruised for our own transgressions. And he became obedient up to the death. Even death of the cross. 3) On the ticket for concert you raised up from the dead. You have defeated satan and the needs. Went back to the father. Sits at the right on the throne. He has increased you high in majesty. He gave the lordship you eternaly. It´s your name, ev’ry knee will bow down before. Eternal king and Lord!